Are You Ready to Sail Titanic?! Are You Ready To Go Back To Titanic! Click to search CelebSites. Titanic is available on video as of September 1, 1998!! I have my copy...do you have yours?! The movie that is making all the money in the theaters is "Titanic". Ever since the famous opening weekend in 1997, this show made over a million dollars a weekend!! That is enough to impress anyone. This movie has surpassed "Star Wars"!! Why? Well...it is a great movie about a true life event. This movie is based on real life. There really was a 'Titanic' and it did sink in 1912! This movie not only recreates what happens, but there is a romantic subplot also. The main characters of Jack and Rose are performed by Leonardo DiCaprio and Kate Winslet. Jack is a "scrappy, young, romantic artist travelling in steerage. Rose is "an unhappy upper class passenger". They meet and fall in love, which would of not been suitable for this time period, but hey, its the movies, so they do! 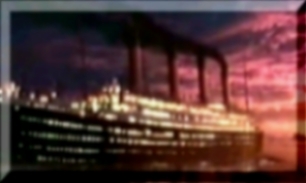 The movie follows their love story as well as portryaing the disater of the Titanic. In a quote from a cast member of Titanic, Barry Dennen, he says Leo and Kate "were like a naughty brother and sister"! They goofed around a lot together and became good friends. The song by Celine Dion, "My Heart Will Go On" was such a good choice for the theme of the show! It tells how even though there is distance, your heart can survive! Below are the lyrics from the song!! The song can be found on both the "Titanic" soundtrack and Celine's new cd, "Let's Talk About Love". * ~BEST SOUND EFFECTS EDITING~ * Titanic won a few awards at the Nickelodoan kids choice awards. It won for Best Movie! "Titanic" is first and above all a love story. the passion, intimacy, and the heartbreak one feels in watching a love story on film are created by the actors, but we help out where we can with cinematography, set design, and the other crafts. Of course, music is the most important addition to the actor's work for increasing the emotional impact of the film. James Horner's score for "Titanic" is all I had hoped and prayed it would be, and much more. If deftly leaps from intimacy to grandeur, fromjoy to heart-wrenching sadness, and across the full emotional spectrum of the film while maintaining a stylistic and thematic unity. The music spans time, making immediate the actions and feelings of people 85 years ago with full emotional resonance withough falling into either of the two dreaded traps: the sweeping conventional period picture score, or the inappropriate modern and anachronist "counter program" score. James has walked the tightrope by using synthesizer, vocals and full orhestra to create a timeless sound which tells us that these people were not so very different from us. Thier hopes, their fears, their passions are like ours. In the film I have tried to accentuate the universalties of human behavior, rather than focus on the quaint differences between this people and our own. James has done the same thing, bridging the gap of time and making these people seem to alive, so vibrant, so real that the dreaded event, when it finally comes, is terrifying in its authenticity. And most importantly, he has made us one with Jack and Rose, feeling the beat of their hearts as they experience the kind of love we all dream about, but seldom find. -Performed by Celine Dion on the "Titanic" soundtrack and her new cd- "Let's Talk About Love"
Disclaimer : All of the pictures and music from the film 'Titanic' are the sole property of Twentieth Century Fox, Paramount Pictures and Lightstorm. The owner of this homepage is in no way affiliated with the makers of 'Titanic'. These pictures were found on random Titanic Websites as well as the official 'Titanic' Website. No intentional copyright infringement was intended. Links back to the pages were the photos were found are added below. All copyrighted pictures will be removed upon the request ofthe owner(s). Any other images and material that is copyright will also be removed upon request.